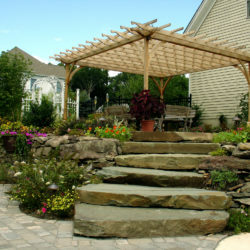 Capital has the landscaping materials you need to create your outdoor space. Customize your outdoor project by designing a new look using our landscape materials. Henry Blueskin is the next generation of air and water barrier technology for wood-framed construction. Henry offers a building envelope system that functions as a water-resistant barrier. It also stops uncontrolled air leakage to improve building comfort, safety, and energy efficiency in residential buildings. Henry Blueskin pays for itself in energy savings! Headcote provides stainless steel deck screws with color-coated heads designed to blend with all types of decking, including Ipe, cedar, mahogany, composite, PVX, and treated lumber. These screws are corrosion-resistant and come in a variety of colors. With 18 colors, many specially created for the newest deck boards on the market, Headcote offers the best color match possible. Headcote is available in both Grade 305 and 316 stainless steel. Efficient and Durable Steel Panels and Brace Frames. Hardy Frames, Inc. manufactures efficient and durable steel Panels and Brace Frames. The Hardy Frame Shear Wall System resists lateral loads from earthquakes and wind forces. They are effective in narrow wall sections that would normally require steel columns. USP Structural Connectors provide a complete line of connections for the buildings entire load path from the ridge to the foundation and in multi-story applications Z4 Tie-Down Systems provide a continuous top to bottom tie-down system that is engineered to be the most cost effective. Laminated Beams and Wood Roof Decking. Filler King Company manufactures laminated random length wood products and laminated wood beams. These products allow you the option of providing construction without the need for interior walls, supports, or expensive footings. Filler King uses top grades of Douglas Fir laminating stock and adhesives. Laminated wood beams are used in a variety of applications from industrial, commercial, and religious construction to beautifully designed residences. Fit to Match Your Needs. FastenMaster creates a unique line of hidden deck screws, trap, and wood screws for a variety of structural fastener applications. These products are heavy duty and quick to install. They come in a variety of colors to match your outdoor living product. Stainless Steel and Epoxy-Coated Hardened Steel Screws. DeckFast deck fasteners offer a wide range of quality deck screws to meet your decking needs. DeckFast screws come in stainless steel and epoxy-coated hardened steel for superior corrosion resistance. Engineered for a Stronger Future. Coulson Manufacturing Ltd. operates a primary lumber manufacturing facility and two re-manufacturing facilities focusing on old growth Western Red Cedar. In Stock and Ready to Be Customized. Decorative corbels are in stock and unfinished — ready to be customized for your specialty building materials needs. They are available in many different sizes and wood types. The Leader in Pre-Finishing Building Materials in the Pacific Northwest. Click the link to view warranties offered. Environmentally Sound & Sustainably Grown. Claymark offers exceptional treated finger-jointed Primed Pine products for exterior and interior trim and siding applications. These products are great for any job requiring a superior finish. They are environmentally sound and sustainably grown. Centurion is a timber cladding system which has been developed to protect your greatest asset – your home. 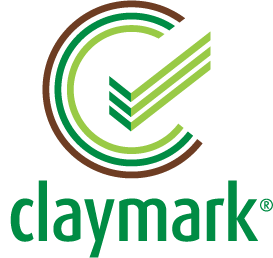 This product has been developed specifically for the USA market and includes all of Claymark’s state-of-the-art technologies to provide a product that will last and which gives a superior finish. A Hidden Deck Fastening System. CAMO offers a hidden deck fastening system to easily attach cedar, composite, hardwood, PVC, or treated lumber deck boards directly to the frame. The screws attach directly to the joist, reducing board movement, and can be easily removed when you need to replace the board.